What? Ridden on a niveus enox? 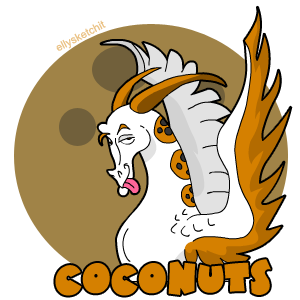 YOU'VE GOT TWO EMPTY HALVES OF COCONUT AND YOU'RE BANGIN' 'EM TOGETHER! (I always thought the eggs looked a little like reverse coconuts).